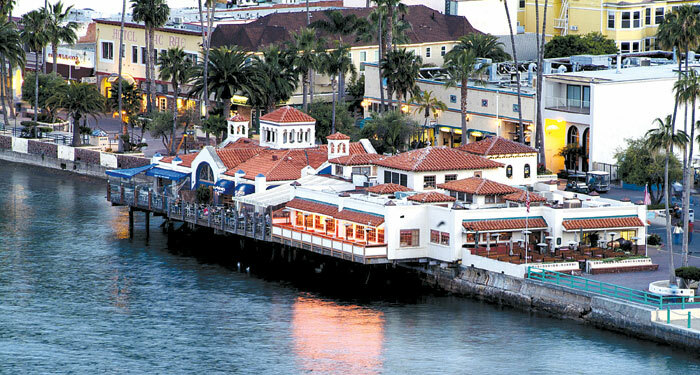 Santa Catalina Island Co. to update infrastructure supporting two waterside restaurants in Avalon. BODEGA BAY — Separate requests to alter Avalon’s waterfront were approved by the California Coastal Commission, Nov. 9, allowing for infrastructure improvements to be made at the Bluewater Grill and Antonio’s Pizzeria location and Quonset huts along Pebbly Beach Village Road to be replaced with prefabricated residential units. Santa Catalina Island Co.’s plans to repair the wharf supporting Bluewater Grill and Antonio’s Pizzeria were approved during the Coastal Commission’s November meetings in Bodega Bay (north of the San Francisco Bay Area). Construction work is expected to take three years. The wharf, located near the Green Pleasure Pier in Avalon, was originally built in 1924 and has been modified several times in its 93 years of existence. Steamer ships from Los Angeles would berth at the wharf (and attached pier), bringing passengers to Avalon. Steam ferry service ended in 1975; the pier extending into Avalon Harbor to connect passengers from vessel to land was removed, but the wharf has since remained to this day. Strong Santa Ana winds damaged the wharf’s pilings during the final hours of 2014. “As winds swept through Avalon Harbor, strong swells released debris and boats from their moorings in the harbor, impacting the pier’s foundation piles. The resulting damage included the loss of two piles, and approximately half of a third pile. Emergency repairs completed in October and November 2015,” Coastal Commission staff told commissioners in a report. City officials plan to schedule construction during fall and winter months. The public would be able to walk on the sidewalk along Crescent Avenue and in front of the wharf during construction, according to Coastal Commission staff. The Coastal Commission also approved Santa Catalina Island Co.’s proposal to replace eight existing Quonset huts on Avalon’s Pebbly Beach Village Drive with prefabricated residential units. Each World War II era hut stands about 14 feet high and occupies 900 to 1,500 square feet of space. The new residential units would stand 15 feet high and take up 954 square feet of space, according to Coastal Commission staff. Pebbly Beach Village is already home to 26 single-family residences. Phased construction would take place over three years. Measures must be taken to prevent construction spillage or runoff from entering into nearby ocean water. The proposed development must also abide by conditions in the Coastal Act and provide public access to the coast. Both items were listed separately on the commission’s Nov. 9 agenda. Commissioners met Nov. 8-9 in Bodega Bay. The next California Coastal Commission meeting will be held at the Ocean Institute in Dana Point, Dec. 13-15.